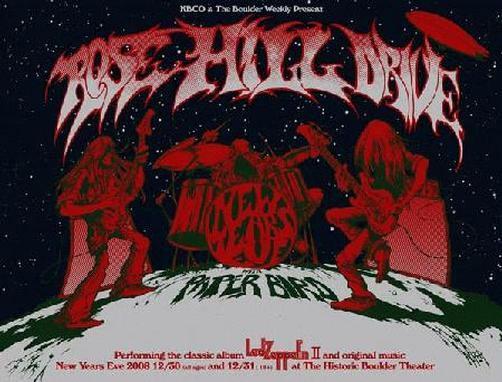 Original silkscreen Concert poster for Rose Hill Drive at The Boulder Theatre in 2008. This is the poster for the New Years run in which Rose Hill Drive played a full cover of Led Zeppelin II album. 3 color screen print. 16 x 21 inches.